Tourists the world over are finally catching on to what long-term travellers have been waxing lyrical about for years: travelling with a purpose, as opposed to wandering aimlessly, really is the best way to travel. Adding meaningfulness can make any journey infinitely more rewarding and fulfilling and has the ability to turn a mere ‘holiday’ into a truly life-changing experience. Contrary to what many inspirational messages will have you believe, however, the limits of travelling with a purpose are nearly endless. There are more options for meaningful travel, out there, than humans on our planet and that’s because purpose, by its very definition, is an immensely personal perspective. Whether you travel to volunteer or learn a new language or to satisfy a particular personal challenge (hike a mountain in every country, watch a soccer match in every city or hike through every national park you come across) adding a spicy hint of purpose, along your travels, can have immensely rewarding effects, some of which you probably have never considered. 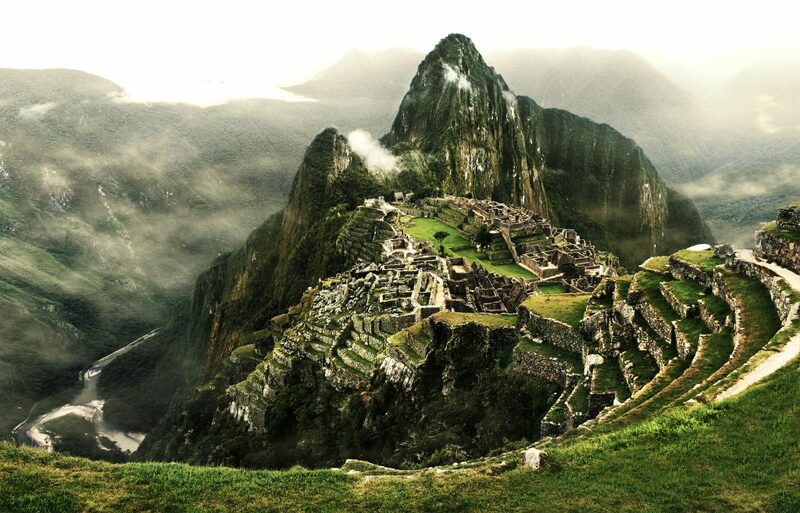 Retrace the steps of the ancient Incas on a multi-day hike to mystical Machu Picchu. Credit: Shutterstock. Volunteering abroad is often held as the purpose-standard by which all others are measured yet socially responsible and meaningful travel isn’t only about sacrificing your holiday time for solely altruistic purposes. As a traveller, you can also embark on a journey of self-discovery and self-improvement: you can travel for both philanthropic and inner purposes; you can travel to meditate and de-stress, to educate yourself on new cultures, histories and cuisines. You can learn a new language, gain a new practical skill and then, because travel is just so awesome, you can travel to sharpen your cultural awareness, to become more tolerant and inclusive, to broaden your mind and to become more optimistic. You can travel to change the world and, without doubt, to change yourself. Travel with a purpose, way outside your comfort zone, and you’ll experience a side of the world you never even knew existed. Credit: Shutterstock. Having a project – be it one major goal or several smaller ones – adds fulfilment to any journey because, at the end of the day, purpose is what makes for a more fulfilling life, in general. You get out of bed for a reason, every morning, you work towards your goals and save towards your dreams. You put in the hard yakka because you see the big picture, whatever that may be. Take away purpose, from life, and everything you do becomes a lot less interesting and enticing. Travel works much the same way, becoming immensely more satisfying when done for a reason or, as we love to say, with purpose. That purpose can simply be to be more socially and environmentally conscious, to be more interested in the local culture, perhaps taking an authentic cooking class in every country one passes through or to endeavour to learn a little of the local language. Learning about the local religious and spiritual beliefs when visiting churches, temples and mosques, or a particularly important historical event when admiring monuments and visiting museums. Above all, spreading the word to friends and family so they too may become more aware, vicariously, through your travels. 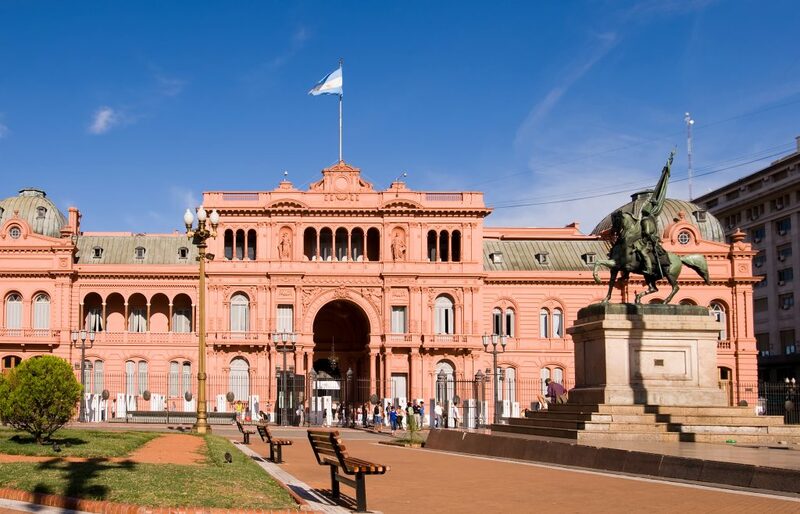 Casa Rosada, Buenos Aires – one of the most iconic sites in the Argentinian capital and a place drenched in over 550 years of illustrious history. Credit: Shutterstock. Mind you, there’s absolutely nothing to detract from a few days or R&R on some glorious beach or stunning jungle lodge. Recharging one’s batteries and spending quality time with loved ones, in a stupendous location, is as important a purpose as any other. Improving yourself, improves the world – Imagine what our world would be like if every single one of us became more understanding and more altruistic, more culturally inclusive and ethnically tolerant, more educated on world politics based on evidence rather than mainstream media scaremongering? Travelling has the ability to do all of this, and so much more. Travelling with a purpose has the potential to change us, all of us, into better and more open human beings and considering the fact that travel makes us happier & healthier anyway, whether we choose to do so with purpose or not, it’s evident that the global picture becomes a whole lot brighter indeed. You’ll become a more responsible traveller, overall – Add a purpose to your journey and you’ll instinctively become more aware of where you spread your hard-earned funds and what choices you make. This is especially true if your own ‘purpose’ has an element of social responsibility to it. Purposeful travel is closely linked to responsible travel because conscious travelling makes us acutely aware of every single action and choice we make, even before we’ve booked our flights abroad. From respecting human rights to being more environmentally conscious in places, like Antarctica, that are under threat, to buying souvenirs from respectable sources and choosing the right kind of cultural experiences to enjoy: start researching your next journey’s purpose and you’ll undoubtedly come across some type of responsible-travel conundrum. When faced with a purpose, the right choice becomes all the more apparent. Giving your journey a purpose will make it more fulfilling – We’ve all been there, at some stage; we’ve all booked an all-inclusive resort somewhere close to home for our yearly vacation simply because choosing a meaningful trip just seemed to be too hard. So off we went: we splashed, we sunbathed and we somewhat enjoyed yet, at the end of the day, we probably didn’t have the kind of soul-stirring experience we’d been craving. Purpose-less travel is not the kind you rave about, not the kind of journey you dream of recounting to your grandkids even if it offers immediate relaxing effects. Adding a meaning to your journey means taking a more structured trip with a focus, a goal, even if you only spend some of your time dedicated to that. It makes the trip much more memorable and still offers all those marvellous in-between travel moments that are spontaneous and unexpected. Travel without a single purpose and you’ll probably find time simply slipping away, days blending and weeks flying by in a blur of sameness. Add some kind of shape to the horizon, however, and that sunset becomes all the more enthralling. 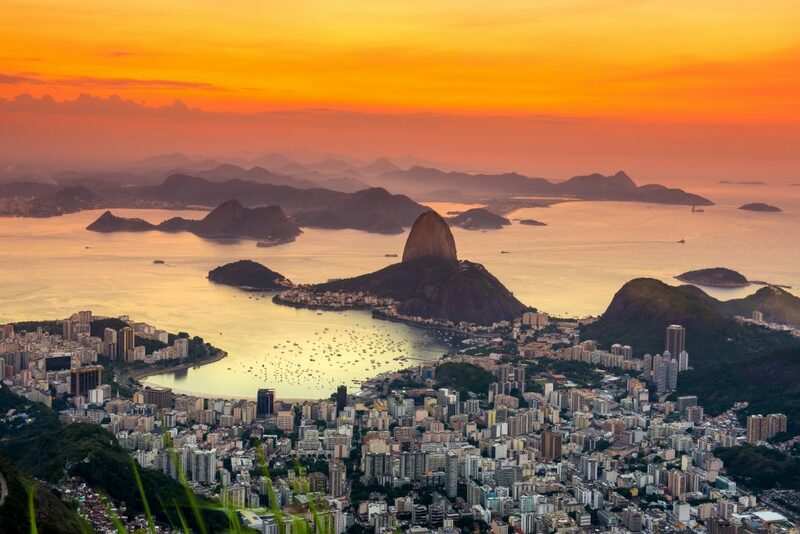 Sensational sunset over Rio de Janeiro, Brazil. Credit: Shutterstock. It makes you consider your destination, very carefully – Rather than simply picking the ‘cheapest place’ to fly to from your closest international airport (see vacation description above) dedicated travel forces you to hone in on your most dreamed-about places and that will ultimately make your journey all the more rewarding. The difference between a cheap holiday and an unforgettable experience comes down to a hell of a lot more than just a few extra bucks. The latter is the kind of trip you’ll want to tell the grandkids about, the former is the one you’ll forget in just a few weeks. Travel with a purpose allows you to fit more in – It is often said that we travel when we’re young to have fun, when we’re middle-aged to unwind and escape the pressures of everyday life and, when we’re even older, to learn new things about foreign cultures and places. Yet with purposeful travel, you can actually achieve all three, no matter your age, because once you are aware of your ‘purpose’ you can plan around it to also include fun, relaxing and educational pursuits. Travel with no plan at all and you may just end up chasing your tail around, wondering what on earth to do every day, and not actually maximising your time abroad. Travel with a wicked plan and purpose, however, and you’ll be surprised to discover just how many more meaningful experiences you can squeeze in, even in just a few weeks of travel. 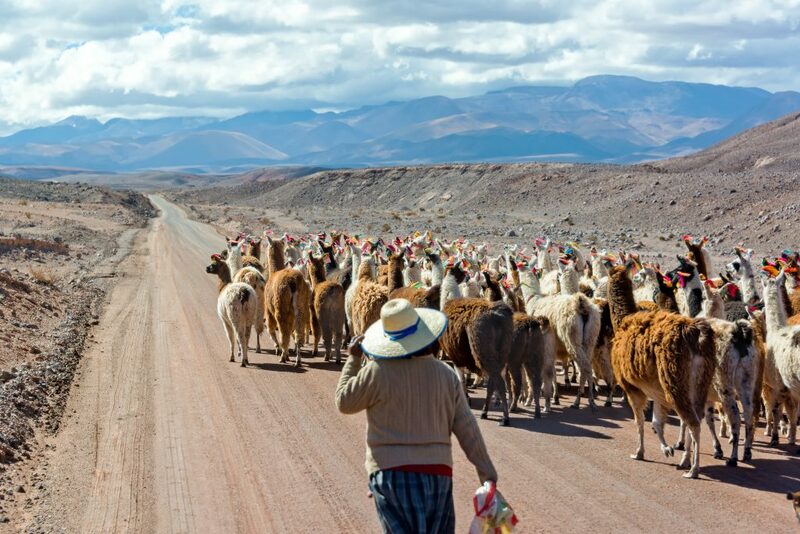 Check out the top ways to Add Purpose to Your Travels in South America and visit our Chimu Adventures page for a nearly endless supply of travel inspiration. To deeply explore Uyuni, we created this tailor-made journey. Between Chile & Bolivia. Sleep in remote camps, hike remote routes, get off the beaten track.